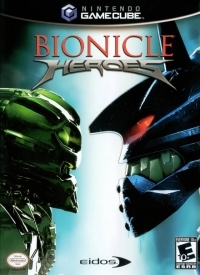 Unleash The Power Of Bionicle Heroes! Play as the heroic Toa or villainous Piraka. Battle against over 50 Bionicle characters past and present. Explore and battle your way through the exciting jungles, volcanoes and deserts of Voya Nui. Master the unique elemental weapons and abilities of each character: walk on fire, water… and more! 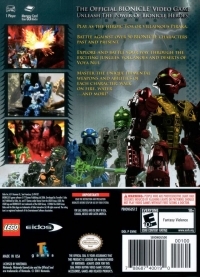 01-28-2019 silverbow Box Text The Official BIONICLE Video Game Unleash The Power Of Bionicle Heroes! Play as the heroic Toa or villainous Piraka. Battle against over 50 Bionicle characters past and present. Explore and battle your way through the exciting jungles, volcanoes and deserts of Voya Nui. Master the unique elemental weapons and abilities of each character: walk on fire, water… and more! This is a list of VGCollect users who have Bionicle Heroes in their Collection. This is a list of VGCollect users who have Bionicle Heroes in their Sell List. This is a list of VGCollect users who have Bionicle Heroes in their Wish List.